The French government is soldiering on with its three strikes legislation, Hadopi. After rejection by the French Supreme Court on constitutional grounds in June, Hadopi fils returns to the Senate this afternoon. This time persistent file sharers who have been warned, then disconnected, will have the right to appeal the termination before a court. The Hadopi bill is named after the bureucratic agency which oversees the process: the Haute Autorité pour la Diffusion des Oeuvres et la Protection des Droits sur Internet. H2 is expected to pass a 3pm vote, then is up for examination by a panel of MPs. It then goes to a second vote next week. Backers are confident it will be firing out warnings by the end of the year. 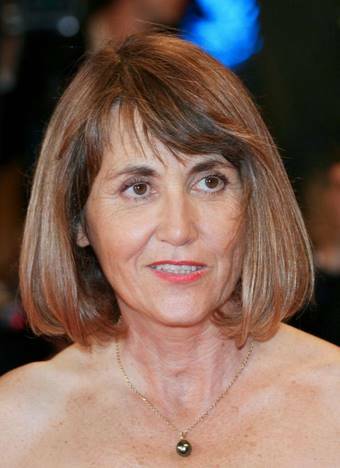 The legislation was devised by former French Culture Minister Christine Albanel (pictured). But aren't we expected to follow suit? Recent headlines recently hinted at an shadowy international conspiracy, seeing an imminent purge of freedom loving citizens from the interwebs. Disconnections are dead in the UK - except in the minds of a few lobby groups. Each has its own reasons, but these wish to pretend otherwise, including the BPI, the ERA and the Open Rights Group - the latter seizing on an opportunity to collect email addresses. They were joined by the "Coalition of the Wealthy" - the pop stars' lobby group the Featured Artists Coalition. "I made clear to the content industry that we would consider legislation that includes temporary account suspension only if it was seen as the sanction of last resort," he wrote. It's your problem, he told the music business - sort it out yourselves. UK Music, which represents a range of interests in the music business, backs temporary suspension of 72 hours for infringers who ignore three warnings, leading to two months on the bench for downloaders who ignore five warnings.